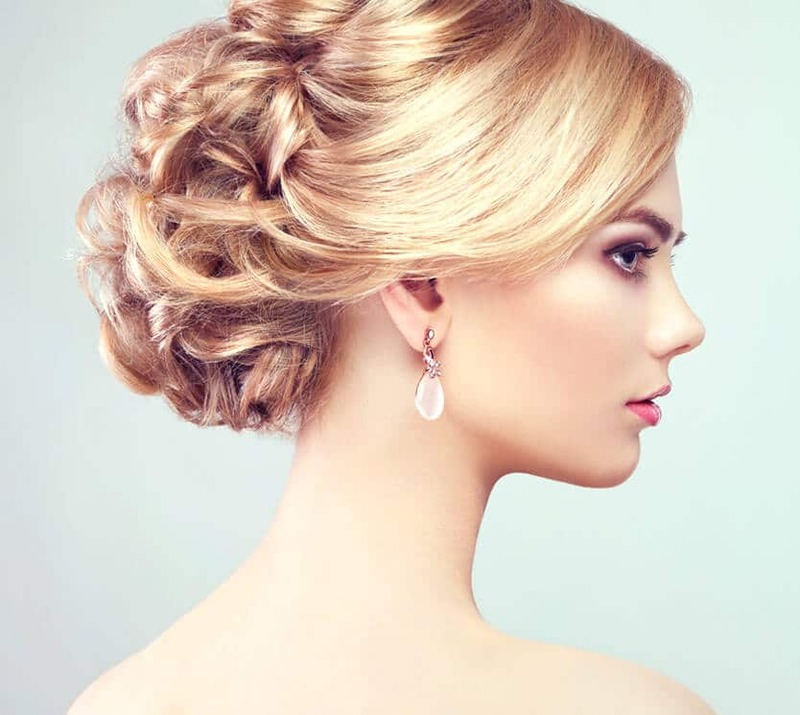 Should you ever need a special hairstyle or up-do for a very special occasion, we’ve got you covered! Be it a party, a special dinner, business meeting, wedding or any other festivity, we’ll get you prepared and ready! We are the hair salon in Naples, Florida, that can give you both your perfect simple daytime cut and your once-in-a lifetime special look. If you’re going to be a bride or the mother of a bride, show us your dress and tell us your dreams and we’ll create the perfect hairstyle and make-up for your special day. We’ll work with you to achieve a look that brings out your natural beauty and feels natural to you at the same time. Welcome to Salon Mulberry, a hair salon in Naples, Florida, where the focus is on you. At Salon Mulberry, we help you find the look that highlights your true natural beauty. Before cutting or coloring a single strand of your hair, we’ll consult with you to create a look that’s right for your face type, your hair type, your lifestyle and your personality. That’s because we’re more than just about hair. We’re also about you, the total you, and your experience with us while you’re here. We want you to feel pampered and appreciated while you’re with us. There are plenty of other hair salons in Naples, FL, that will just cut your hair. But here at Salon Mulberry, we have an entire team of hair design and make-up professionals dedicated to helping you relax and enjoy being the center of attention. Few Naples hair salons have the resources to take this kind of care of you. Our team of professionals are experts in everything from color and cut to hair extensions, keratin smoothing therapy and even make-up. Whether you are looking for a simple style for everyday or a spectacular makeover for a special event, we are ready to make it happen for you. We also use only premium products in our salon including Goldwell, Davines, KMS, Moroccanoil and the top-of-the-line, Keratin Complex Smoothing Therapy, which can transform frizzy curly hair into straighter shiny and smoother luxurious hair. If you’ve never had keratin treatments, you will be amazed at how Keratin Complex Smoothing Therapy can give you the smooth, silky hair of your dreams, even in a humid climate like Naples. Hair salons in Naples can vary greatly in price. Despite the luxury of our offerings, we do our best to keep our prices reasonable. We have introduced tiered pricing to offer our services to clients with varying budgets and allow our stylists to advance within the salon. Every stylist at Salon Mulberry is a professional capable of delivering a look you’ll love. All stylists are required to start as Level 1 Stylists before advancing within the salon. Pricing is noted on the individual service pages. Consultations are recommended before seeing a Level 3 Stylist for the first time. During her time in Naples, Kerry has trained and worked with some of the most exceptional stylists the city has to offer. Salon Mulberry represents her passion for creating an experience for clients that assures a relaxing environment, and a gorgeous new look. Cara’s drive for perfection and eye for detail have advanced her quickly as a stylist and we are proud to have her here at Salon Mulberry. Her talents and ability to create beautiful looks show time and time again by the compliments and return visits from her clients. To Brooke, satisfaction is only achieved when she knows that she has reached the exact look that her clients desire. Thorough consultations, precision cuts, and beautiful colors come second-nature. Cassie believes that continuing education and learning the latest trends and styles is vital to the success of a good hair colorist. She enjoys practicing her craft behind the chair and also working as a hair color educator at a local school to help train up-and-coming stylists. Terrence works primarily as an educator, training stylists around the country on advanced cutting techniques. He has worked with many A list celebrities and consistently works with the New England Patriots. Although he is only available the last weekend of every month at Salon Mulberry – you can expect a service to remember. Born and raised in Germany, Sabine has been honing her skills for more than 20 years and is a Goldwell expert! Continued color training and utilizing her advanced cutting techniques to tailor looks to the uniqueness of her clients have made impressions that last forever with Sabine’s many happy clients! Sofia has more than 20 years of experience in the industry and her impressive work clearly expresses it. Having kept up with training from stylist recognized around the nation and owning her own salon for more than 15 years, Sofia knows how to deliver the look and the experience. She will not disappoint. Susan Naumiec-Meixel is a seasoned makeup artist with more than 28 years experience. She studied at the Berger Institute of Production Technology in Miami, Florida. She has been a freelance makeup artist for over twenty companies, an international trainer for major retail lines and worked with celebrities in commercial, print/photography, runway, film and television. See why the professionals at Salon Mulberry are known in Naples as the stylists to go to when you need a stylist you can trust.